*No exact mileage available. The guidebook lists distances on the route by time rather than miles. Today was the day, the end of the Haute Route Pyrenees and the march to the Mediterranean Sea! Our plan was to be up and out early at 7am to get a jump on the day, but the weather had other plans. There was fog and lightning as we were packing up. Then right about 7am, the rain came down (not too hard) and some thunder and lightning came through. We agreed to wait and see if it passed, and it did after 30mins. I looked up the weather and it seemed there would be spotted rain for the morning and clearing by noon. We decided to go for it and were hiking out to wind and sprinkles at 7:45am. That sounds not great, but we loved it! The scenery was wonderful. It was warm enough to not be cold and the wind kept us pretty dry between drizzles. 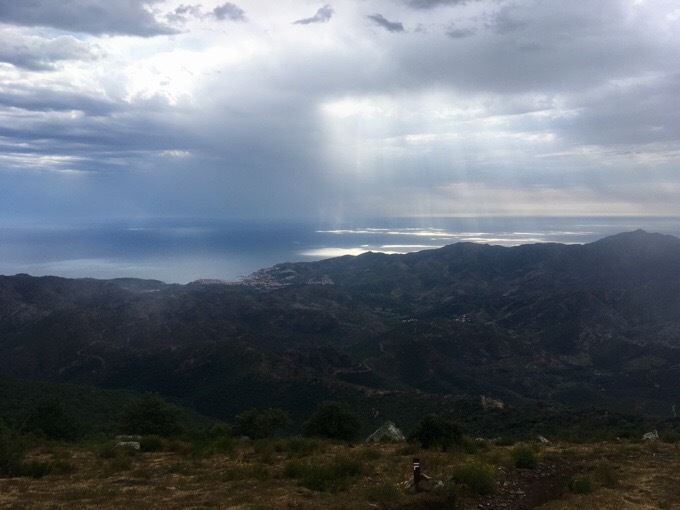 Much of the hiking was along ridges with views of the Mediterranean. 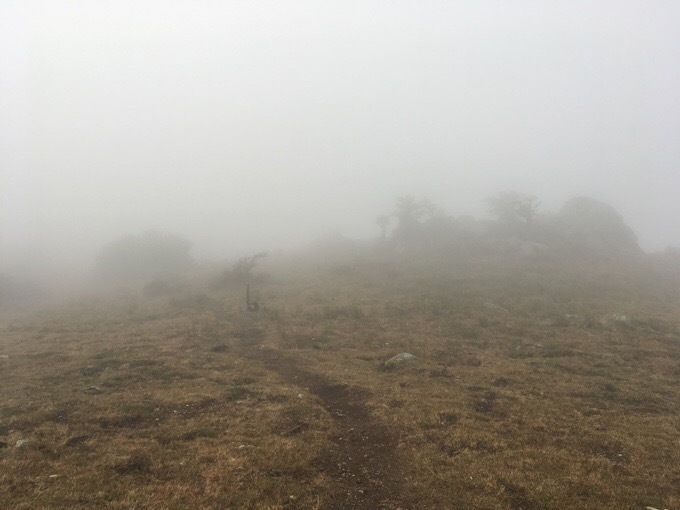 We had periods of fog, but it never lasted long and made for more magical views. As we got closer, the periods of rain got shorter. We laughed as we took our rain jackets off and back on again four times, each with the hope we wouldn’t need them again. It’s always fun to share the finish with another hiker and it was great to be with Soap for the morning. We made really good time and decided to hike on through so we could have a celebratory lunch in town. It’s funny because one of the first things we discussed yesterday is American hikers’ obsession with burger in town. 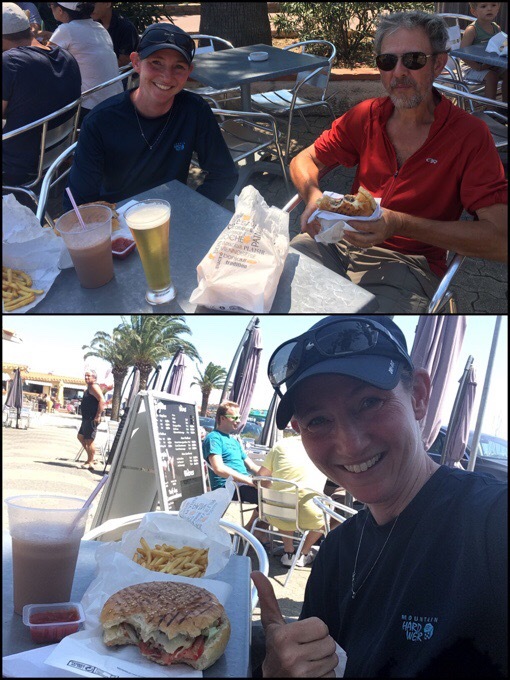 I made it clear that a burger and milkshake was exactly what I was finding once we finished and he kindly obliged. My last burger was in Gavarnie 23 days ago. That’s just unacceptable! 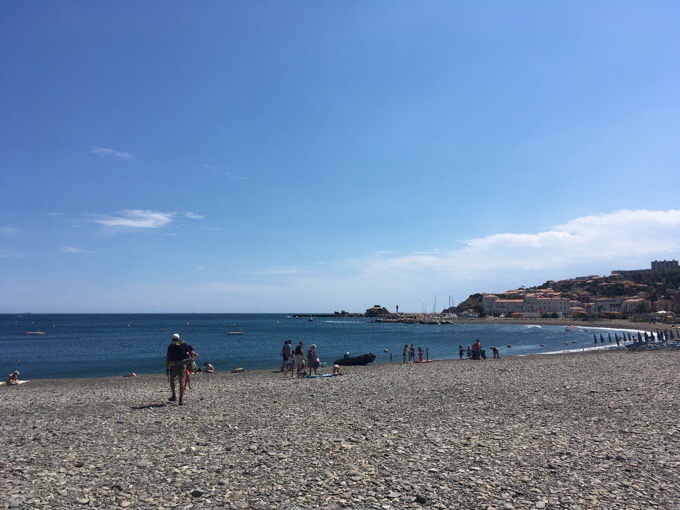 As we approached Banyuls-sur-Mer, the blue skies came out to stay and the wind kicked up. In the brief moments of no sun, we felt how intense the heat could have been today. Man, we were lucky today to have such a cool finish. It was a bit of a tease as we felt like we could see the end for a couple hours before we got to it, but it went by pretty quick and before we knew it, we were walking right through the touristy village on a Sunday and headed to the Mediterranean Sea. The water wasn’t very cold at all and there were fewer people on the beach than we expected. It seems things start late in this part of France, so I think we were ahead of the crowd. It was pretty fun, and even after having finished many trails before, this one felt just as special. The HRP is relatively short compared to some of the other long trails I’ve done, but this was a tough one! It felt like an accomplishment to have completed it. 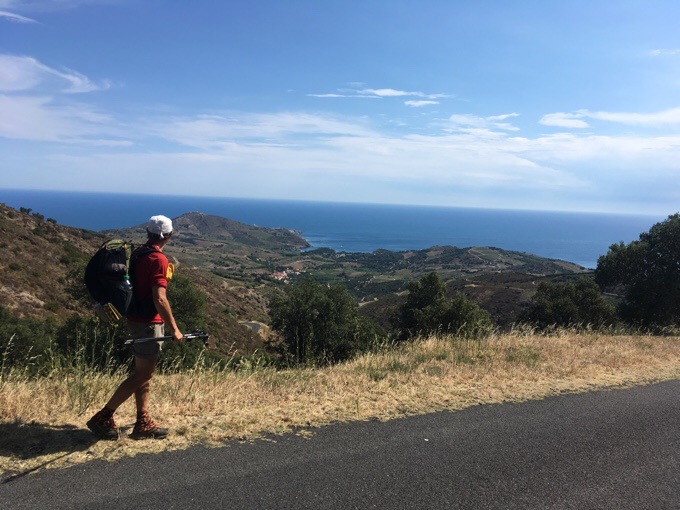 550mi/885km through the length of the Pyrenees from the Atlantic to the Mediterranean. 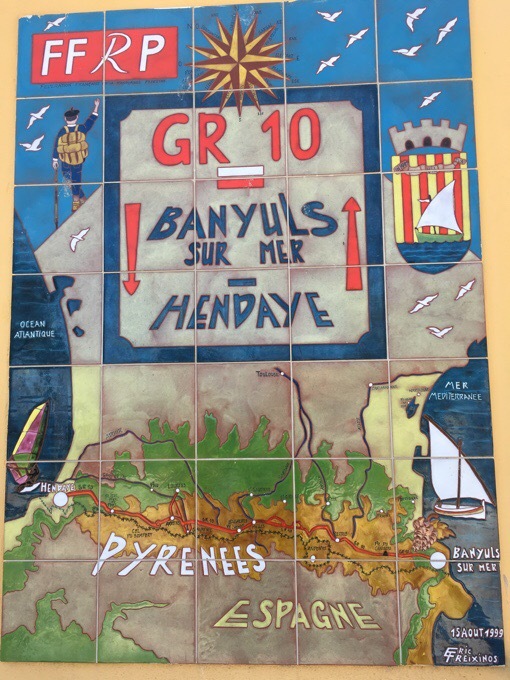 There’s some artwork on a nearby building for the official start/endpoint of the GR10, which parallels the HRP and runs the Pyrenees on the French side. We went over there and I really liked that somehow even more than the Mediterranean. 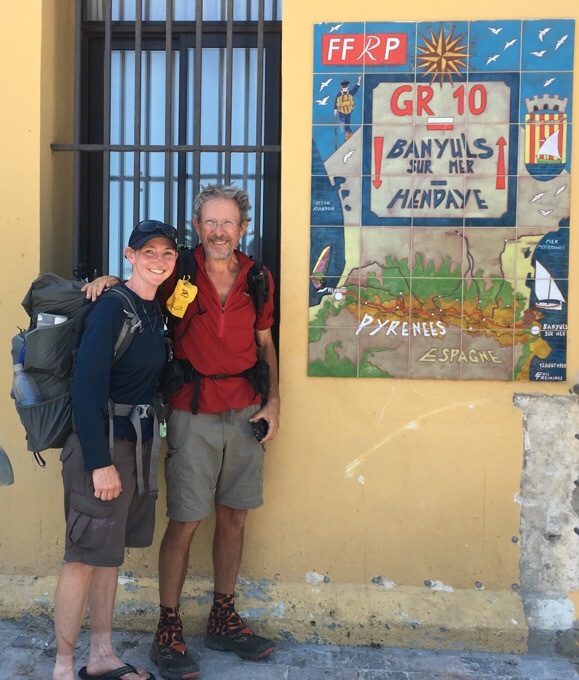 Soap had done the whole GR10 with bonus side trips and a couple zeros in 41 days. Quite the accomplishment. I started in Hendaye and did overlap with the GR10 at times. Since the HRP is more of a route (with multiple versions and guides), it was cool to have something that kinda validated an accomplishment of something quite challenging. 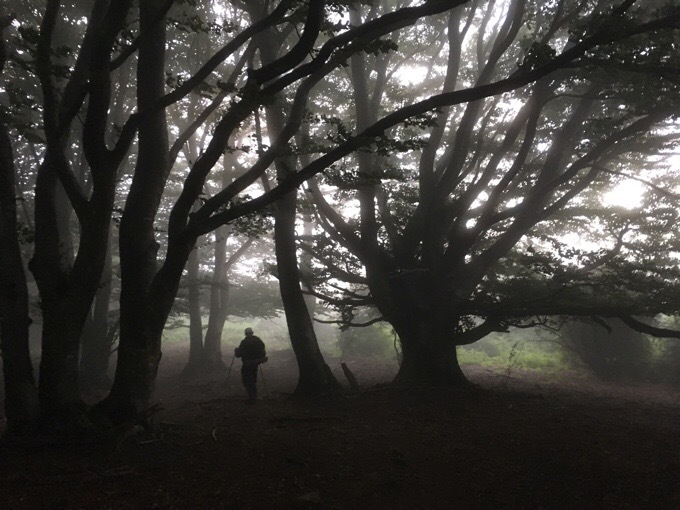 If anyone is thinking of doing the HRP or GR10 or GR11, know that these are very challenging and physically demanding routes. Yes, extremely scenic, but you have to work hard for those scenic rewards. I’m ready for a couple days of rest! But first that burger and milkshake! This really may be my favorite ending to a trail. 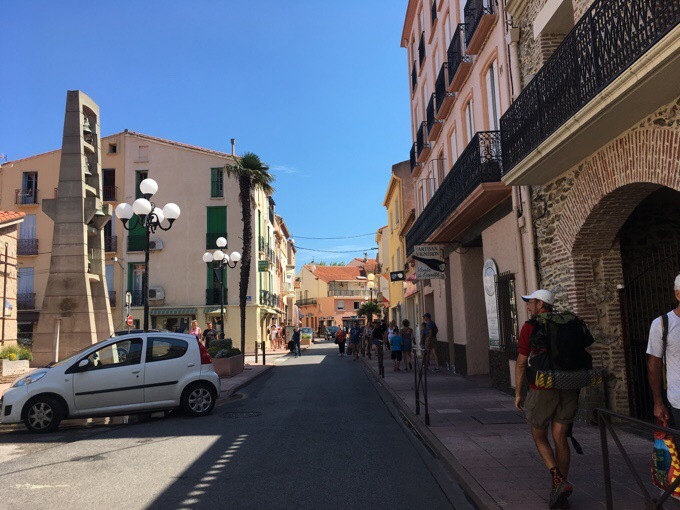 You finish and immediately have tons of options to celebrate, and my hotel (Hotel Canal Banyuls) was just a few minutes away. Immediate reward! The hotel was very basic and minimal, but you get what you pay for. It was great to have the rest of the day to relax and get things cleaned and dried. I treated myself to a celebratory steak dinner with a wonderful salad. 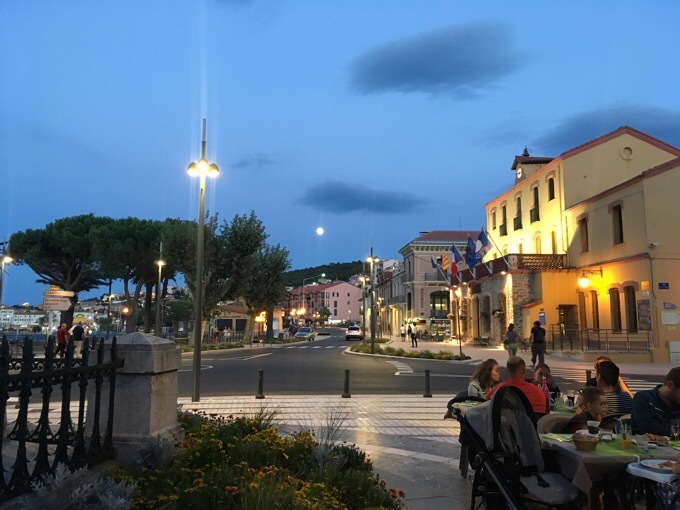 As I sat at the outdoor seating, I was in my own world of contentment looking out towards the ocean and then to the side of me was an almost full moon rising up and the art for the terminus within sight. I have to say, it’s one of the more satisfying finishes I’ve had. 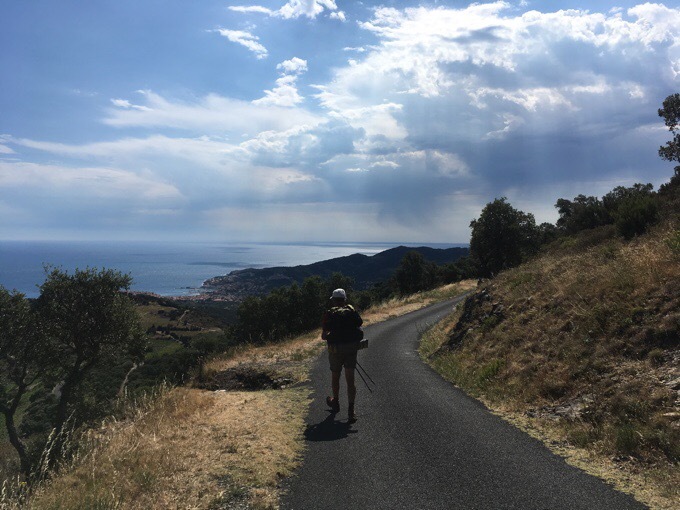 I know this was scenic, but I want everyone to be clear that it’s a ton of physical exertion to hike in the Pyrenees. You’ve been warned! Also, known that I did do this at a pace many wouldn’t enjoy. The book recommends 45 days without counting rest days. I did it in 36 with two zeros and a few neros. 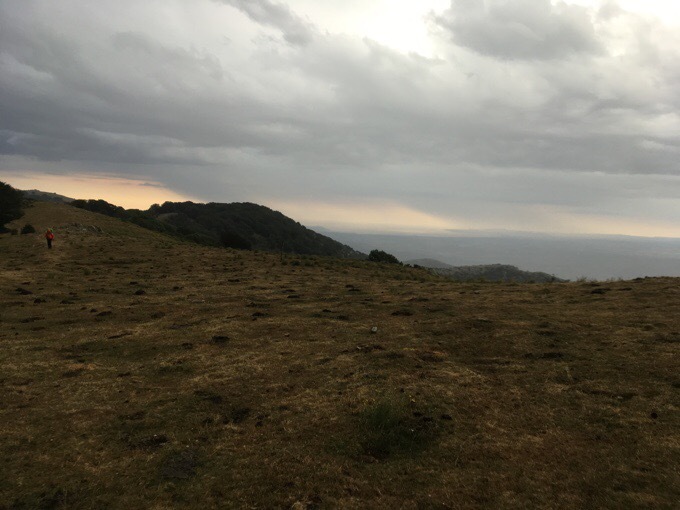 I also chose to hike it outside the schedule that has you landing at a refuge each night. Many may find it more enjoyable and restful to hike shorter days to the refuges each night and to avoid needing to carry much food weight. The cool thing about the Pyrenees is the freedom of options in that way. It may not be flat, but it has great options for building rest between those ups and downs. Just go into it knowing it will require a lot of exertion. I’m sure ready for some time to recharge. Tomorrow, I will take the day to take a train to Geneva, Switzerland, the start of the main part of the GR5 that runs the length of the French Alps along the French side of the France/Italy border. I’ll be going from there to Nice (actually the Menton scenic ending). I’ll take a zero to get situated in Geneva before I start, so I’ll do a post in a couple days as I transition. French Alps, I’m comin’ for ya! Excellent! Great finish to another great journey! I guess it’s always hard to compare trails but how much tougher (or easier) was the HRP than the PCT, for instance? 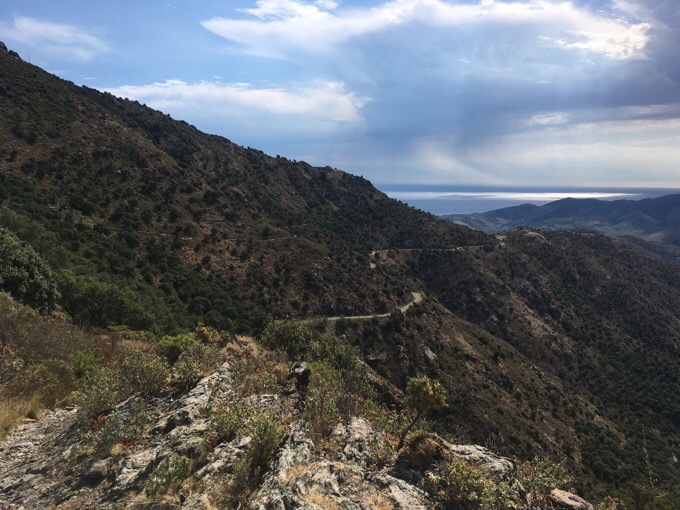 Although the PCT is five times as long, this one is straight up and down the whole time and a ton more physically demanding. 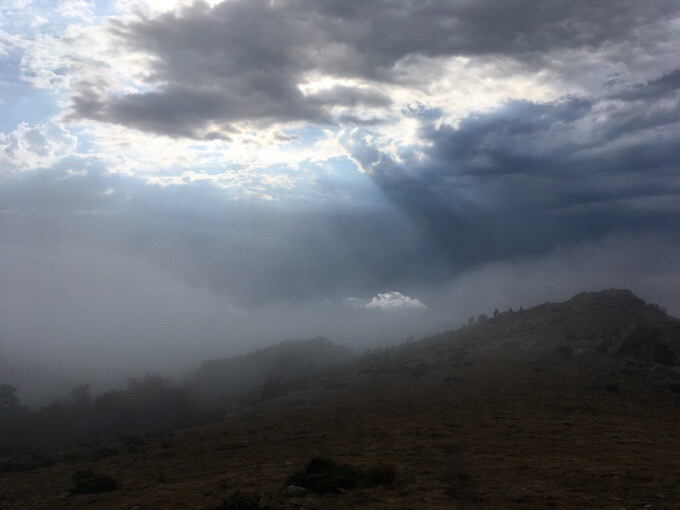 The PCT is a stroll on horse grade paths of mindless relaxed walking. 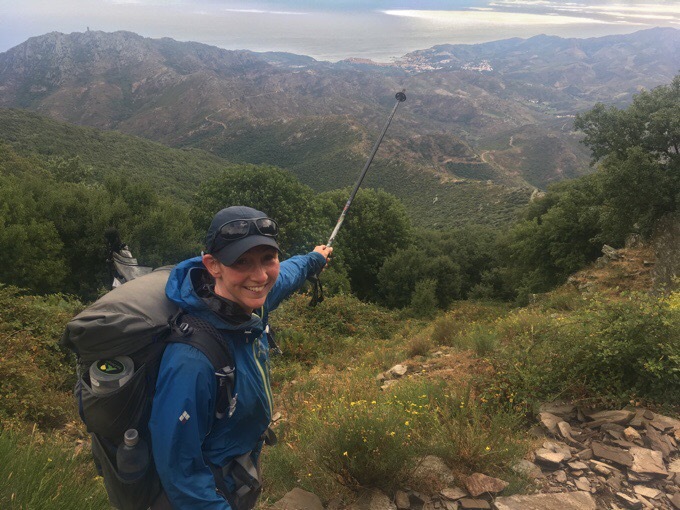 Congrats Erin, I’ve been following your blog since we met on your way down from Col de Mulleres and it’s good to see that you made it and enjoyed the hike so much! Hi Fabian! You should be in your final days as well, right!? Congrats!!! 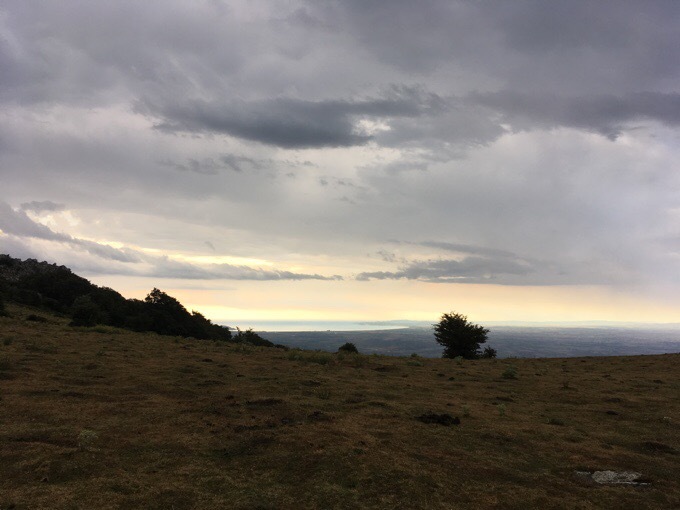 I finished Friday afternoon, which is sooner than expected, the bad weather forecast for Saturday made me walk faster to hendaye! Oh wow, you killed it! Way to go! Yes, the weather is what motivates me most. What a challenge for your first hike too! Well done Erin! You certainly ate up the HRP, and I am very glad (relieved!) that you enjoyed it too. 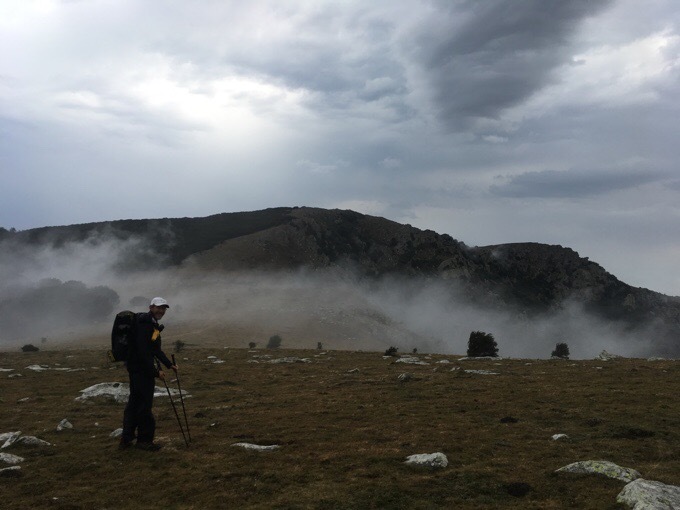 Looking forward to your Alpine adventures now, it will be interesting to have such a direct comparison between the Alps & Pyrenees and me help me decide where to go next..
And thank you so much for suggesting this one Jerry. It was well worth the effort! Erin you have given me so much happy reading over the years, it was a great pleasure to have a chance to give just a little bit in return. I hope folks appreciate just how difficult it is to do what you do, day after day. All that walking, and on top, all that blogging too! It really is a lot and tests my endurance on many levels for sure. Haha, thank you Anna. I feel the same when a series I watch has its summer hiatus! 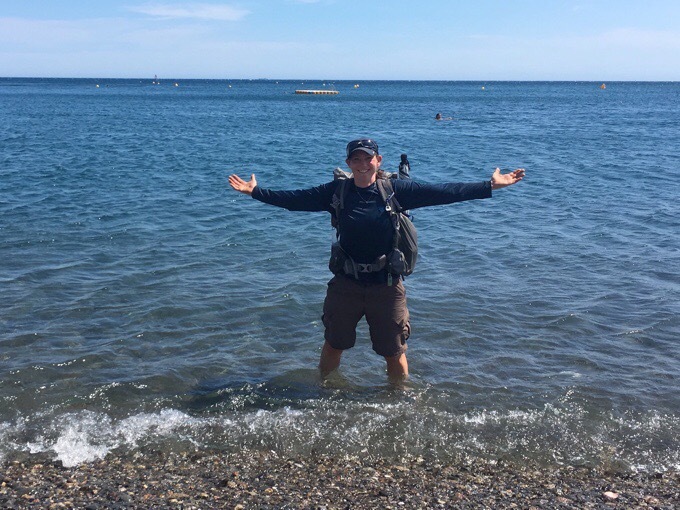 Congrats on finishing another long trail! I hope you’ve found the notes I did send you before your start useful. I did my own hike in paralell so I could just catch up with yours. As mentioned before thanks for your discipline on writing all those blog posts. Surely be very helpful for me finishing my last section the HRP next year and for the people planning in doing it as well. As you rightly said this is not an easy walk in the park but very rewarding! Wish you all the best for the next portion of your trip and I’m curious if you get your pot back.. ? I guess the pot went forward? What a wonderful ending, and we’ll celebrated!! ? burger and a steak.. A bit of revenge after all the cowbells! I have enjoyed this adventure so much and now proceed onward!! I got the pot today. Reunion photo to come! Erin thanks for another great hike. We get to see scenery that is generally not readily available as you are walking through locations that are relatively lightly traversed. I also take encouragement that many great days and experiences have to be balanced out with days and experiences that are shockers. It’s all about character development, without it, you limit your enjoyment of life. Exactly. If it was easy everyone would do it. And you are there partly because everyone isn’t.. I was so lucky my parents took us to Grand Canyon when you could still watch the sunrise and then creep down the canyon walls in silence and with few people around. I appreciate so much that you share some of the wonderful images you have captured and add in your words. That was great! I enjoyed your hike without the effort (nor the reward of personal accomplishment) but enjoyed it none the less. Really looking forward to the French Alps. Charge on! What a cool finish! And to be the best finish yet, that must be so fulfilling. A 45-day hike in 36 days with zero’s-N-nero’s too is pretty amazing. You have a great drive and determination and amazing on-trail ability. Your list of arduous hikes speaks volumes to that. I have total admiration for you. I’ve really appreciated all these years since the PCT. Burgers-N-steaks were definitely in order! Glad they were available. Hello Erin, Congrats on yet another thru hike well done.. I haven’t commented much on this one, just too occupied. I just finished up a rough week in the Sierra and was actually considering giving up backpacking all together, but as I read thru your hike as well as a few others, it makes me miss the trail again. Just an off year but I just want to thank you for all the hard work you put into this daily. Thank You Wired!!! Yeah, I’ve been there sometimes needing time away after a tough trip to want to get out there again. I can see myself adjusting my trips and approaches as I evolve to probably less strenuous hikes as the years go by. Great pics on this stretch. Love the first one in the trees..
What a rewarding end to a great journey. I’ve really enjoyed reading all the blogs. it has inspired me to put the HRP on my to do list. Thanks Erin. Congratulations on finishing the HRP, and I hope you enjoy the G5. I’m a little late commenting on the end, but the scenery looks similar to the Sierra. Earlier someone asked you to compare it to the PCT, but I would like to zero in some more. How does it compare in terms of beauty and difficulty to the 414 miles of Sierra from Horsheshoe Meadows to Donner Pass? How about the 515 miles of the Cascades in Washington? It seems the Sierra and Cascades are much more remote, which could present additional challenges. Thanks for your blog and any thoughts you could provide. Personally, the beauty was much better than the Sierra that I tend to find single toned with so much granite. It all seems to look alike after awhile. As for the cascades, it’s far less wooded so it well surpasses that scenically. But I could also be speaking from it being novel to me as well. This was grander and definitely more challenging with hardly any flat to cruise on. Mostly exposed with whole new views revealed with each crest. Tough though. Good point, it can be broken up, but there is no avoiding that it definitely isn’t flat. Congrats on another trail conquered! And so glad you had another person with you to celebrate each other’s accomplishment. Thanks so much for taking the time and effort to bring us all along on your adventures. Congratulations! I am happy for you and sad I vicariously completed another Wired trail from the comfort of my back deck!! Ha, I had to ask about neros too! A zero is a day when you don’t walk: a day off, in fact. A nero is a day when you don’t walk far. Not quite but nearly a zero.. Thank you both for your info and support. I think I will start with Vienna (I am there for a congress anyway) to Mariazell on the Pilgrim Way (as most of my experience is on the Spanish Caminos) and then somehow make my way to the mountains. I am so excited! Oh cool! The pilgrimages are great warmups to the mountains too.